We only use 100% organic, fair trade beans roasted by Cafe Campesino. We are known for our cold brewing, but have expanded into other cafe specialties. Our methods are sustainable, and our coffee is brewed in small batches to ensure quality, taste and an unmistakeable flavor! Check out our shop located in Avondale Estates. Here you can try all of our current/seasonal coffees on tap, and also an array of hot beverages, crafted espresso drinks, and locally sourced food and beverages. 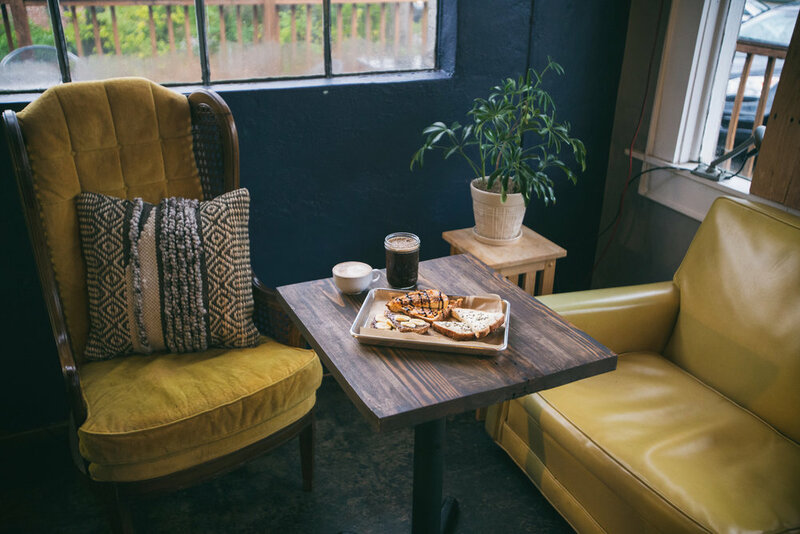 After working at coffee shops (in the corner sipping a cup) for years, we wanted to make the atmosphere warm, buzzing with conversation, yet chill. Come hang, come work! Before the brick and mortar, We started with our branded cold brew at farmers markets, events, catering, corporate accounts, and with bottles in stores throughout the region. we're happy to have found a home, a place to innovate, and be part of the community in a bigger way.